Diablo 3 will steal your soul, one click at a time. Diablo 3 is the last game you will ever play. Not because you don’t want to play other games, but because the moment you gain that first level, find that first rare item, or unlock new your first new skill you will be completely addicted to Diablo 3. No matter how hard you try to move on, it will always be gnawing at the back of your mind. 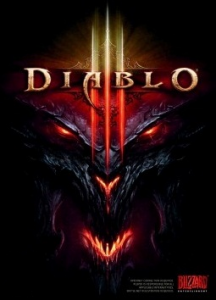 Diablo 3 is a the latest installment in the Diablo series of action RPG’s. I will admit that I have played Diablo and Diablo 2 extensively. In fact, I didn’t stop playing Diablo 2 until about a year ago (I got the game in 2000 when it was released). Needless to say I’m a fan of the series. I can honestly and say that Diablo 3 delivers for long time fans and new gamers alike. Ease of access and causal playing are represented both in Diablo 3’s quest and leveling systems. Starting a new game no longer means starting from the beginning of an Act (Diablo has Acts instead of levels). Instead, you can choose exactly at which quest you want to jump into the game or you can begin playing from your last checkpoint. No longer are you tied down the old fashioned RPG systems where a single mistake in skill placement would mean starting over. Skills can be swapped back and forth in town or when the action dies down, which allows you to experiment and develop all sorts of combinations for any situation. This allows you to experience each of Diablo 3’s brilliant character classes in full. Find yourself dying on a certain quest or boss? No problem just switch out your skills for a more defensive set and try it again. The ability to play at your own discretion with your with your own unique skill choices adds a level of depth and reply value not that didn’t exist in the previous games. I found myself playing as the Monk and I haven’t looked back yet. While the Barbarian, Wizard, Demon Hunter and Witch Doctor are all unique and cool I couldn’t pull myself away from my Kung Fu master. As a fan of old school Kung Fu movies the idea of punching and kicking my way through the armies of hell is something I just cant turn my back on. Longtime fans will know that as fun as leveling up and beating quests of Diablo can be, that’s not the main point of the game. Diablo’s true brilliance shines through its loot reward system. Every mob of enemies you face drops items. Every drop is random based on the enemy’s level and your character’s magic find/gold find stats. The higher your gold and magic find the better your chances are, but nothing is guaranteed. There are different classes of items to find from worthless crude items to the ultra rare legendary weapons and armor. The stats on these rare items can vary extensively to the point where two items are practically never identical. This is what gives Diablo 3 such a unique feel. Everyone can use any skill they want at any time, no two items are the same giving each player there own unique and individual experience. At first Diablo 3 is very easy. Like many modern games, the storyline eases you in, allowing you to slowly learn the ins and outs of the game and your character. Initially you will be finding new and better items after almost every single battle. This keeps you licking yours lips in excitement for each and every new monster pack you cross as you have a chance to increase your power and riches. As you progress through each difficulty level of Diablo the items you find will become more powerful and the strength of your enemies increased. The final difficulty setting known as “Inferno” is significantly harder then anything in previous games and can’t even be attempted until you reach the maximum level for your character. Inferno is the ultimate test of players’ skill, the reward for playing of course are the best items you can find in the game. By the time you reach Inferno you will notice that finding better items than ones you already have has also become significantly harder. But the reward is just as great, if not more satisfying. If you have trouble finding new items you can enter into Diablo 3’s Auction House to buy new items with the gold you have earned or sell items that you no longer need. This opens up another easy access function of Diablo 3. Instead of running the same level thousands of times over and over again to find a few decent items you can now go to the Auction House and look around for a new item that is in your budget range that will help you beat the next part of the game. Additionally, you can use the Real Money Auction House to attempt to actually make real money playing Diablo 3. This is probably Diablo 3’s most unique feature. The ability to use US dollars to buy and sell virtual items adds an additional level in the in game economy that isn’t found in any other MMO. Yes, of course this means that there are 13 year old brats with mommy and daddy’s credit card buying hundreds of dollars worth of virtual items making their character stronger than yours. But don’t worry, buying your way to power in Diablo 3 is not even half as satisfying as getting there on your own. Did you ever think that game where the primary control is just “click click click” with your mouse would be the most addictive game you ever played? Did you ever think that a simply game formula developed in 1996 with the original Diablo and perfected in 2000 with Diablo 2 would become the fastest selling computer game of all time in 2012 as Diablo 3? Probably not. Diablo 3 builds on the success of its predecessors while making the jump to modern gaming. Which brings us back to my point earlier, Diablo 3 can be played any way you want. All of Diablo 3’s core functions allow you do customize and play the way you want to play. Questing, leveling up, the auction house, they all cater to each individual players’ needs. Yes, you click to move, to attack, to pick up items, to sell items, to talk to other characters but each click carries significant weight and importance within the game and for your own unique character making you forget you just spent the last three hours mashing left click on your mouse. After a while you will be thinking about your next clicks before you go to bed. Those new items you wanted to hunt for will be the first thing you think of when you wake in the morning. That skill build you wanted to try will be all you can think of at work. Just like that, click after click after click, Diablo 3 will creep its way into deep into your mind, your heart and your soul. You will become addicted, and whether you realize it or not, it will be the last game you ever want to play. This is an interesting write up of the game. I had understood that it wasn’t an MMO, but I guess I was wrong. I took a look at a few YouTube clips of the game play, and it does look great. It’ll be interesting to see how it holds up against Guild Wars 2, which I’ve been anticipating all year. GW2 will probably be alot better if you are into MMO’s. I played the first one a decent amount and loved it. D3 has lots of MMO functions and elements but the core gameplay its still a pretty simple RPG that you play online with your friends which is why I like it more. It doesnt need the dedication of an MMO but at the same time if you want that MMO experience you can get that satisfaction from D3. My favorite thing about the Diablo as a series is they keep updating it(like a MMO). The latest D3 update is adding items changing skills and adding new leveling systems as well so its just getting better. I guess that’s where I got confused, but that’s a good way of putting it…the MMO experience, without the dedication. That’s one small gripe I have with WoW…the dedication. In any case, having played a fair amount of WoW, I’m interested in how different GW2 will be.